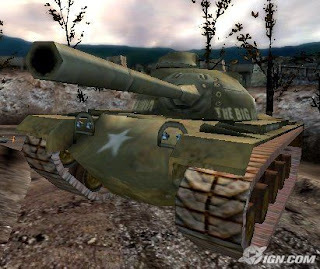 Conflict Vietnam ps2 iso Sony Playstation 2,In a conflict that lasted 11 years and killed over 3 million people, four men are going to have the longest 28 days of their lives. 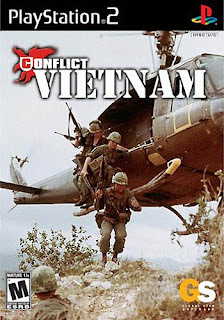 Cut off behind enemy lines during the 1968 Tet Offensive with no way to contact help, four young, barely trained soldiers realize their only hope for survival is to head into the heart of darkness. 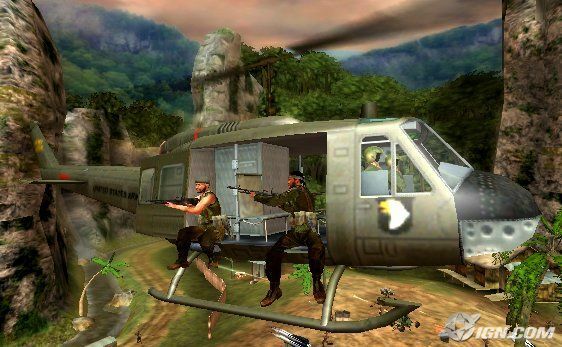 With few rations and dwindling ammunition, the only thing that separates them from freedom is 100 miles of ruthless terrain, crawling with unseen enemies. They don’t want to win any war, they just want to make it home alive. 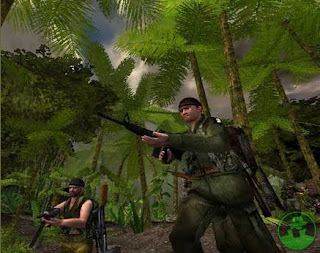 In the the third game in the Conflict series of squad action war games, players take on 14 enormous missions deep in the Vietnamese jungle, venture through small villages, into ruined temples, and down Viet Cong tunnel complexes. Upgrades include a new control scheme and fully deformable environments.The third game in the hugely successful Conflict series.